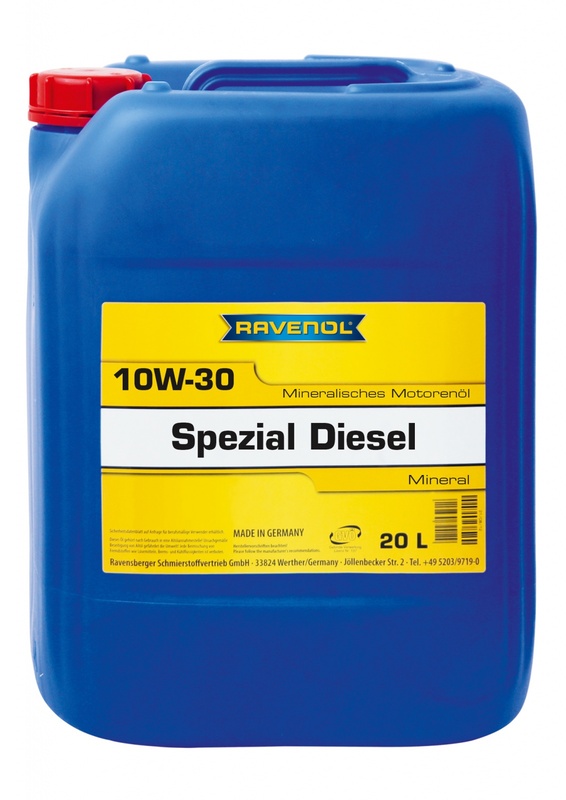 RAVENOL Spezial Diesel SAE 10W-30 is an excellent multi-grade engine oil for use in passenger vehicle and lorry engines. It meets the requirements of modern diesel engines with and without induction. The wide viscosity range ensures superior year-round lubrication under varying operating conditions.